¥ 260,000,000 is stolen from armored vehicle. The criminals escape into a crowded shopping mall and take over 50 hostages. 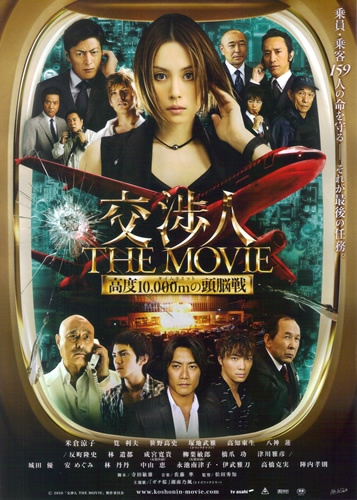 Reiko Usagi (Ryoko Yonekura) and the SIT members are called in to break the stand-off. When Reiko goes into the shopping mall to negotiate, an explosion suddenly occurs. The hostages panic and run, while the criminals are able to blend into crowd of people and escape. biaeap Dec 07 2018 9:09 pm the best! Oliveoyl Sep 29 2018 1:56 am I familiar with character yusuke kimoto, and right!!! He is Kento Hayashi, played in Ossan's Love 's as MAKI!!!!. kqkqkqkkqqk.... Our cutie pie Maki..... (✪ω✪)(✪ω✪)(::^ω^::)(::^ω^::) this man is really good in acting.